Pudle began as a short design exercise in October 2017 to explore the surfacing capabilities of Solidworks. The aim of the project was to take an everyday item, such as a watering can, and try to come up with a simplified design. The Pudle project was entered into the Design Council Spark competition in 2017 and although making the first cut from 597 entries to 30 it did not make the final 15 with a £25,000 Design Council investment. The design for Pudle, and its logo, are registered with the UK Intellectual Property Office. The logo was developed in conjunction with Alex Read from Bamb Creative. Pudle offers benefits for both the retailer and the consumer. 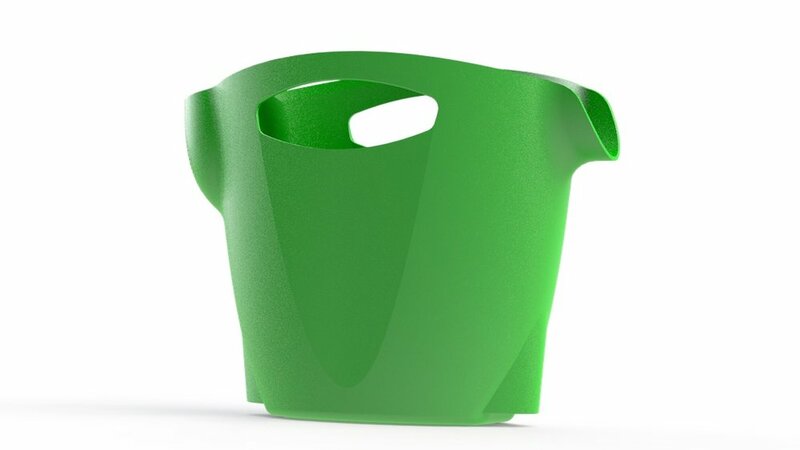 Firstly Pudle has a superior shipping volume compared to a traditional watering can design. 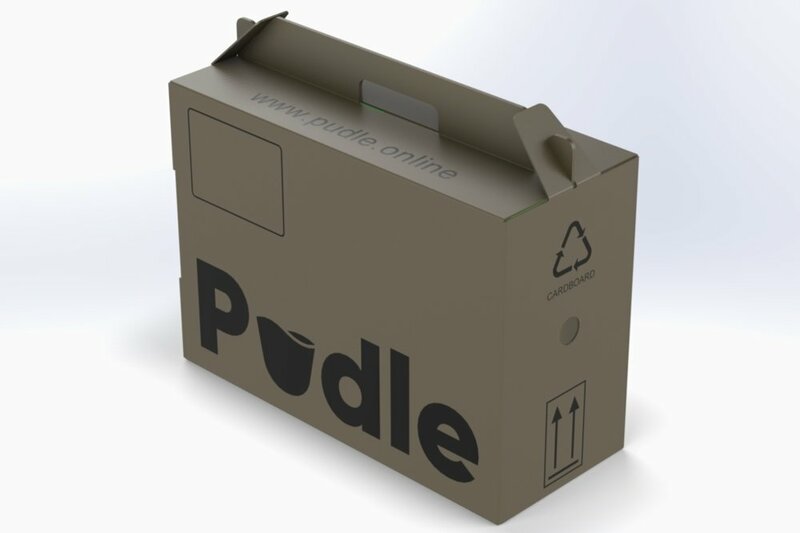 Because Pudle can stack (140+) on a pallet, it is much greener to ship. In addition Pudle takes up far less space in a retailers premises. The all important shelf cost per metre squared is far better than traditional designs. For the consumer Pudle has several benefits too. A single piece design makes for easy maintenance & end of life recycling. The tough>LDPE< material is UV and frost resistant meaning Pudle can be left outdoors all year round (unlike a traditional zinc plated or plastic blow-moulded can). The open top on a Pudle will help catch rain water, the best form of hydration for your plants. The open top also makes filling easier. The business model for Pudle is set up around selling wholesale to the UK gardening sector but also direct sales from the website. Because of its superior logistics Pudle is a product made for export (unlike current designs).